Our sourcing trip to Turkey was all about devouring bowls and bowls of burnt pudding. All I could think about before heading down to Peru? Ceviche. Shocking but true – office supplies came second to food. Not the ceviche I’m used to finding on the West Coast that’s heavy on the lime, cilantro, tomatoes and onions… I’m talkin’ Peruvian ceviche. Super fresh and light, complex flavors and textures of fish, red onion, sweet potato and corn, perfectly arranged like fancy sculptures. Not a day in Lima passed without me grubbin’ on some seriously amazing ceviche. 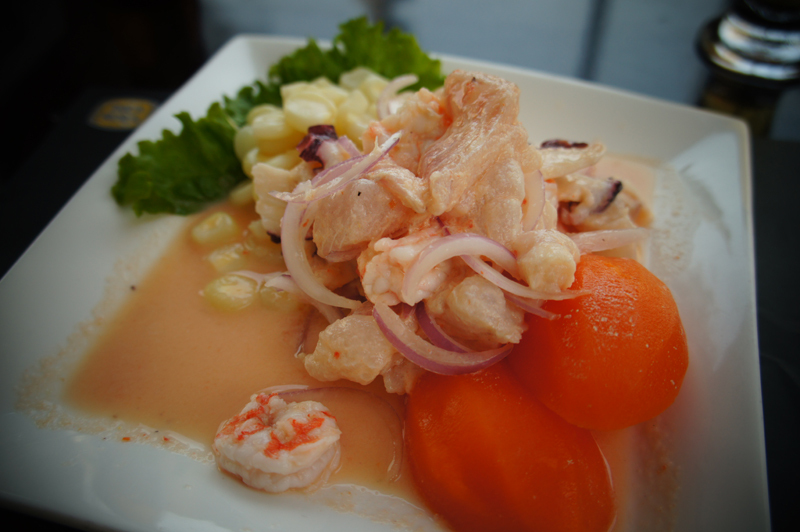 It’s rumored that ceviche was first created in the northern part of Peru. There’s a big ol’ Japanese community in Peru, and they love raw, fresh fish (yum!) 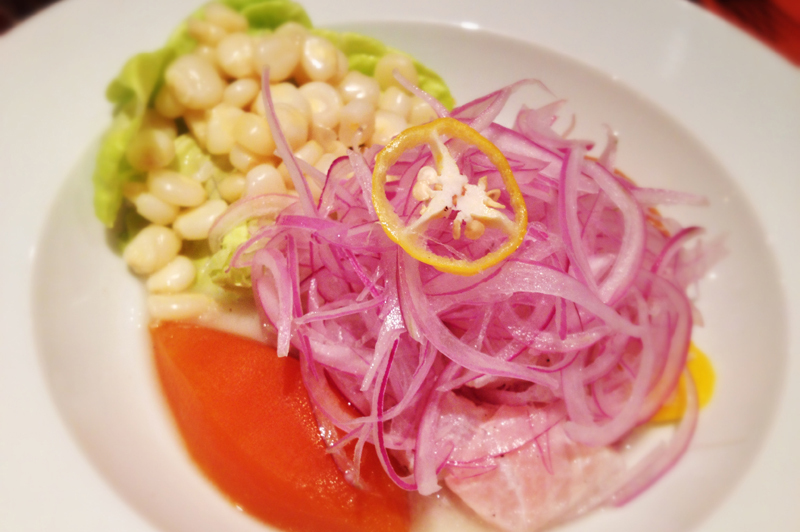 – which means the ceviche here marinates for only 30 seconds, rather than hours, in lime juice. Every spot I visited offered ceviche in multiple variations, but I stuck with the classic ‘cause everyone’s skillz turn out something different. Every time I fell in love the moment the plate hit the table. My mouth watered and I had to hold back and not get all savage with the food ‘cause really, it’s not a good look. Places where we devoured ceviche? La Mar, Osaka, Pescados Capitales, Segundo Muelle… and I know there’s more. So many more ceviche spots to discover. Gotta do everything in my power to resist booking a flight back to Peru so I can continue my quest for the world’s best ceviche.